The Cavaliers and Warriors path to the 2016 Finals has been spearheaded by their juggernaut offenses. They rank first and second respectively in offensive efficiency for the 2016 Playoffs and at times have looked near impossible to guard. These 2016 NBA Finals Ball Screen Sets will show how to exploit defensive mis-matches. Part of a good offense is having a belief system and sticking to it but it’s also knowing when to make subtle adjustments at key times to exploit potential mis matches. The Cavaliers and the Warriors for all their Offensive prowess still each possess one large defensive liability amongst their core lineups. The Warriors are led by 2 time league MVP Steph Curry and his incredible offensive repertoire. However on defense he tends to be considered a weak link, especially in lineups with multiple plus lineups. He is small in stature, no physically strong and is prone to fouling. The Cavaliers do a good job trying to run ball screens with whomever Curry is guarding in hopes of getting a switch. The optimal scenario for the Cavaliers is having Steph Curry guard LeBron James or the explosive Kyrie Irving in space. 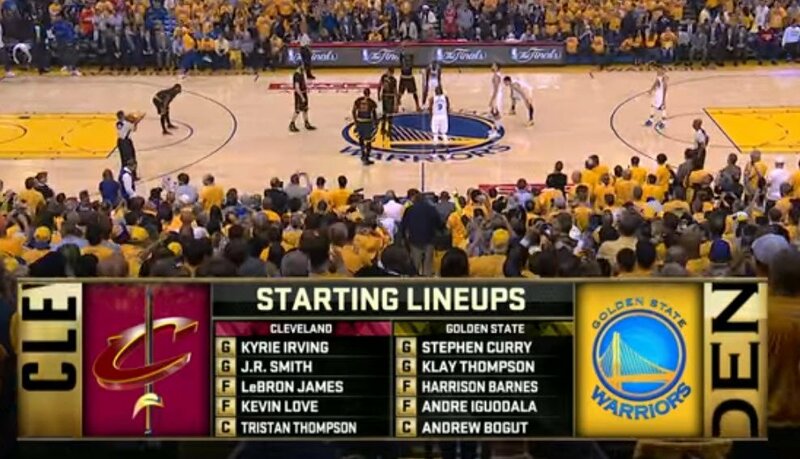 To achieve these optimal match ups the Cavs will get creative on offense. 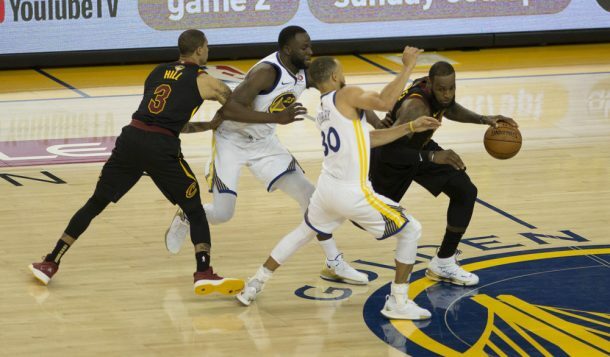 Often times they are having JR Smith, the teams’ starting Shooting Guard and Steph’s initial defensive matchup, set a ball screen for LeBron James or Kyrie Irving. The end result is either a switching or having a guard hedge a ball screen which is something they are not accustomed to doing. The numbers back up these tactics. According to Synergy Sports Steph Curry is allowing 1.167 points-per-possession (PPP) on offensive possession in which he’s guarding the screener in a ball screen. That ranks him 66th out of 72 possible qualifiers who have defended a minimum of 10 ball screens as a screener during the Playoffs. 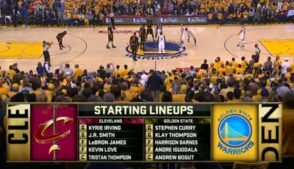 The Warriors offense also looks to exploit mis matches, this time in the form of seeking out the much maligned Kevin Love. Despite what many may think, the Warriors are not a heavy ball screen team. According to Zach Lowe of ESPN only the New York Knicks set fewer ball screens this season than the Warriors. However in this series, the Warriors have tried to seek out Kevin Love as much as possible while he was on the court. A Steph Curry ball screen is almost a pick your poison type scenario so teams have tried switching it to prevent a quick release 3 by Curry. What this means for the Cavs is that Kevin Love will have to guard Curry in space. If they try and corral him, Steph Curry will use his ball handling to get down hill and still wreak havoc. Per Synergy Sports Kevin Love has allowed .988 PPP on possessions where he was guarding the screener in a ball screen. That ranks him 55th out of 72 potential qualifiers. When they do switch and he has to guard them or anyone else for that matter in and Isolation, he is allowing 1.033 PPP, which ranks 49th out of 60 potential qualifiers for the playoffs.